Born To Hack.!! 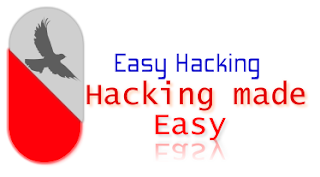 : How to hack almost any hotmail, easily without keylogging, in 24 hours. How to hack almost any hotmail, easily without keylogging, in 24 hours. Entire credits to New_2_Hacking of HF for typing this. I am merely reposting it. I do not take any responsibility of whatever you do. I see alot of new HF members joining, and wanting to learn how to hack somebodies hotmail account..or asking others to do it for them. This method is called Reverting, and you will be sending a form in to microsoft customer support to reset the password for your (or somebody elses) hotmail account. For this method, it helps to know the person, even a little, but i'll still give you a step-by-step tut on how to find the information and fill out each part of the form. NOTE: THIS TUTORIAL IS FOR EDUCATIONAL PURPOSES ONLY, I AM NOT RESPONSIBLE IN ANY WAY FOR HOW THIS INFORMATION IS USED, YOU USE IT AT YOUR OWN RISK. YOU MAY LEARN ALSO HOW TO GET YOUR OWN ACCOUNT BACK FROM THIS. Step 2: Give them your victims full name. Now, if you do not know their first name, try the following things to find it. First, try using these two sites, simply enter their email and hit return. Include the quotes, cause this searches for only the hotmail account. If you gain any results, it will most likely be forums or if you're lucky, social networking sites, that they have filled out their info on. Go through these searches, and look at every one, even make a .txt file in notepad pasting down all the info you can on them. Once you're done, if you havnt got their last name, keep reading..if you have, goto step 3. Or any others you can think of, and search for their hotmail account using the websites search feature. if you get any results, you're in luck, most of the time people include alot of information on themselves in there. Follow any leads you can find on the info, and even ask them or their friends (look up a tutorial on social engineering info out of people first, it will help). Now another thing you can do is use http://www.whois.com IF your slave has their own website. Or, I sometimes just say "I'm pretty sure I only put in my first name at registration, I'm paranoid like that" or something along those lines... It's worked for me. BTW: This is called d0xing, or "documenting", basically harvesting info on people, it's completely legal as long as you get all your info from the public domain (forums, social networking sites etc). Simple, give them your email address... could use a fake one if you're paranoid (one you got access too), but I don't see any risk. Here you put in your victims email address (the one you're trying to hack). Then click Continue. Step 5: Date of birth. You can simply give them the year, if you dont know any further then that..but if you want to be on the safe side, read step 2, and use those techniques to find their date of birth. and find their town/suburb or whatever, and google the ZIP code for it. simply put "i dont remember"
for this, you just put in the email address you're trying to hack, you dont need their alternate email address. There's alot of ways to get their IP, i'll give you the easy ones. right click on it, and click "view source",. (09-24-2010 07:59 AM)TOMMIE Wrote: This is from Hotmail? Right? I get this too.. I forwarded these emails to my broadband providers base email (NOT Webmail), then selected each one and `Save as`, it will prompt you to save in .eml format - save to desktop, then right-click and open in Notepad. You will see detail then. Website: Go here http://www.syntaxmaster.info and register an account for free, it's real easy. Now once you're registered, go to Software/Tools > IP Stealer; and then you can type in the URL you want your IP stealer to redirect to.. so just google or myspace or something will do. Now you'll see above that they give you your URL, you just send them there and it'll grab their IP, redirect them to google (or whatever site you choose), and then show their IP down at the bottom of the page. And viola it'll look like a social networking site "Hey, I'm katie. :) I'm looking to meet new people and was wondering if you wanted to be friends? ^_^ This is my profile btw: "
i'll show you how to do it manually first. Manually: Send them a file, or get them to send you a file. "hey, i love that song, can you send me it?" or "omg, this is the funniest picture ever". Before you start the transfer though, goto start > run (if you're using vista, just press the windows key) and type in cmd, and hit enter. and hit enter, it will show you a list of active connections to different IP's. Remember or take a screenshot of those IP's, because once you start the transfer, type in netstat again while it's transferring and check for any new IP's, that is your victims IP. It's called IP-Get, and will show you your current msn contacts IP addresses IF you're currently connected to them with a fileshare. It will also allow you to save the IP addresses, and look up their locations. There are other ways, but surely, you should have been able to get their IP by now...if not, look up a tut on it, using the search feature. Unless you know this as a fact, either take your best guess, say you dont remember, or yesterday. leave this blank, or say you dont know (unless you know this for a fact). give them all the contacts you know are definately or most likely in there, including yourself, and even their other accounts (they might add themselves, everybody seems to). Also give them wilma@live.com and smarterchild@hotmail.com, as most people have them added. hey, how are you, RE:, FW:, admin, windows live, hotmail staff, recovery, registration, support, lol, password, comfirmation, noreply, delivery status notification (failure). Also, if they are subscribed to any forums (like hackforums(but please dont hack other HF members :P)), social networking sites (like myspace, bebo) or online games (like Runescape (all discussion banned on HF), WoW), then be sure to include them too. If you happen to know any of their friends, this is where you put their display name...if you dont have them added, put their first names, and if you dont know them at all, just leave it blank, or say you dont remember. If you know it, put it in..if you dont, say "i cant remember it exactly" or leave it blank. "please do your best to recover my account, i dont want to go and have to add all my friends again, it'd be a great help if you got it back for me, thank you in advance." Okay, i believe that is it, within 24 hours you will recieve an email from customer support, they will either give you a link to reset your (victims) password, or ask for you to send it again with more info, as an email reply..and in that case, you dont have much luck, cause they can just get your IP address from the email and know you're lying :) so try again, and hope you get a more gullible staff member. This add on for firefox will be very useful if you need to do it again (and a lot of other things! ), it saves all typed/submitted text, so you just need to go back to that page, right click then click "recover form", click the most recent one, and recover it then resend. I did give you a link to download earlier, here is a virus scan for you guys who arent sure.